This March, some fabulous bloggers and I are embarking on what is sure to be the most epic of journeys. That’s right friends – we are tackling A SONG OF ICE AND FIRE by George R.R. Martin! We have all desperately wanted to read the series for a while, but let’s be serious – those are some big books, and frankly, it’s scary (I mean, I can’t speak for everyone, but I’m scared..) After realizing we were not alone in our desire (and wariness) to read this series, we decided to set up a (casual) A SONG OF ICE AND FIRE READ-ALONG. This goal of this read-along is for each of us to be able to read the series, with fellow bloggers to lean on and help cheer us through! Anyone and everyone is welcome to join us, as we will be having Twitter chats (#SOIFRA) while we read. We’re also hoping to set up an email thread per book where we can discuss all the things that are happening – and because we don’t want to get all spoilery for others. If you do feel like joining us in the read-along or if you have already read the book and want to chat along with us, let us know! We would love to hear from any of you! 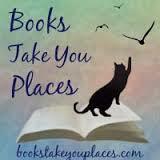 The idea is that we are keeping it casual so that everyone can enjoy the novels without getting too overwhelmed! 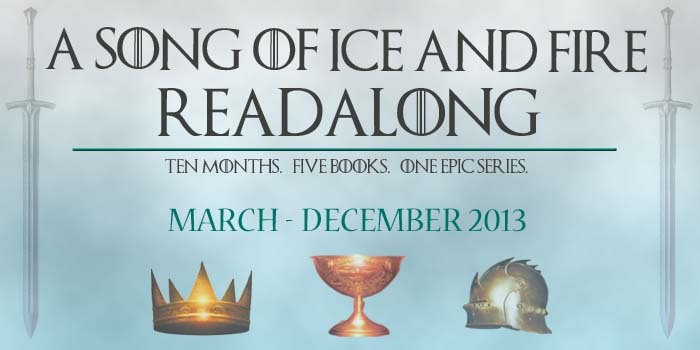 Head over to Alexa’s blog to read more about A Game of Thrones and to find our reading schedule for book one in the Song of Ice and Fire series. Also feel free to use our hashtag, #SOIFRA on Twitter or grab our button on the side! O-M-G !!!!!! This is very exciting!!!!! OOOOOMMMMGGGGG THIS IS SO EXCITING. I’m excited for you all. BIG TIME. I will most certainly be checking out the twitter chats and eagerly anticipating being able to discuss things with all of you ladies. I am EPICALLY excited that you are hosting A Storm of Swords. THAT BOOK. I know, I KNOW, I am in the middle of a very long Infinite Jest readalong…but I kind of want to join you all. How many pages a week are you doing? I’m kind of late to the game on this, but have been seeing your Twitter chats! Hope you all love this series!